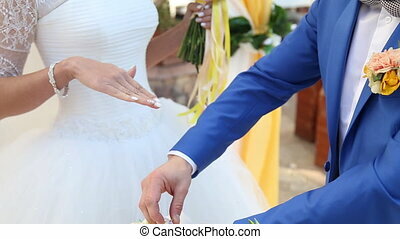 Exchanging rings. 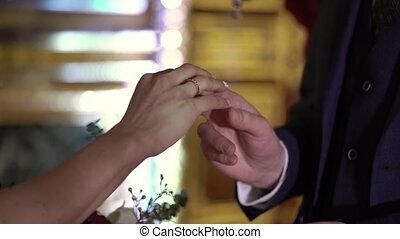 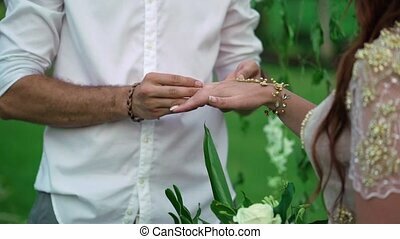 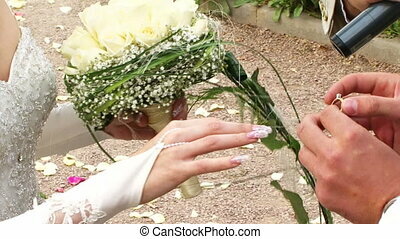 Bride and groom exchanging rings on the wedding ceremony. 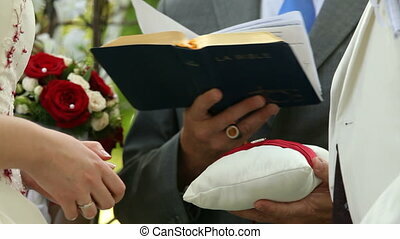 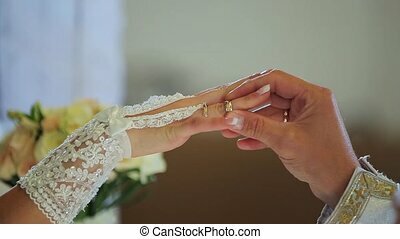 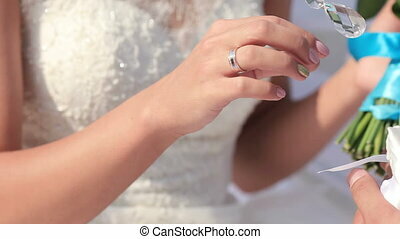 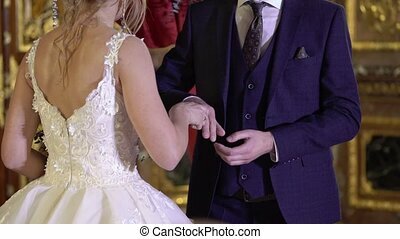 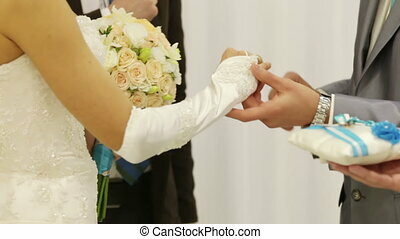 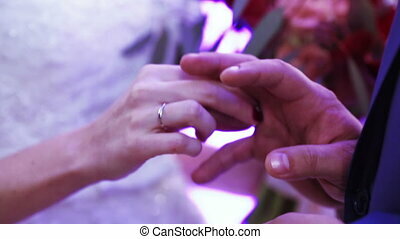 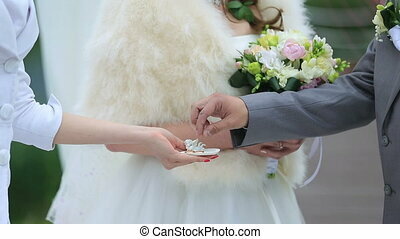 closeup of bride exchanging wedding rings.